Florida is to many shore birds, what Utah is to avid skiers — a paradise. The birds in the Everglades are as extraordinary (Limpkin, Wood Stork, Pileated Woodpecker, Brown Pelicans Roseated Spoonbill, Caracara) as the Wasatch and Oquarrh Mountains outside of Salt Lake City. One of the outstanding bird species we come in proximity to Florida is the Ibis. Prominent for its long beak, vast color differences, and chunky body, the Ibis seems to be the biological-cross between the majestic flamingo and the squatty snipe. The colors vary from scarlet to ivory to black, with some maroon and mottled shades in the mix. My favorite is the white ibis, as its distinctive red beak and legs are in bold contrast with its white body. Plus, the flocks are such fun to watch as they play and dine in the advancing and receding surf. My dad had a pencil and water-color drawing of a series of Ibises at play and I loved it. I do not recall the artist, but it was so life-like, I swore it was a photograph. It looked something like this image I found on the internet, but lighter and better. This image does point out the black tips on the wings of the bird, which is another distinctive feature, especially when they are in flight. Ibises all have long, down-curved bills, and usually feed as a group, probing mud for food items like sand crabs and other crustaceans. The birds are known to be highly territorial while nesting and feeding, and they are monogamous while nesting. 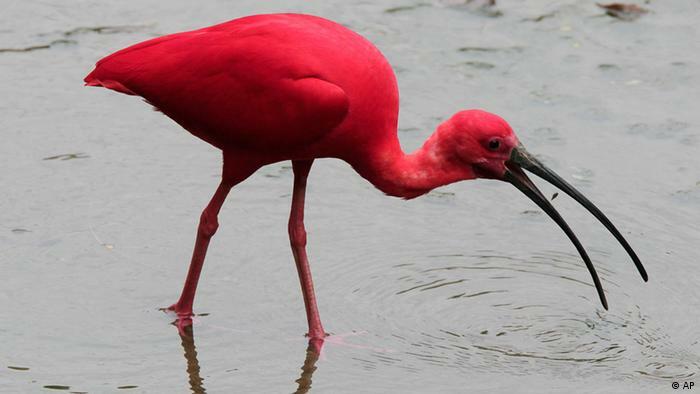 Most ibis build their nests in trees, and they are often seen in the wild with spoonbills and herons. According to wikipedia, the word ibis has roots in many languages including Latin, Greek and Egyptian. From various sources the history of the ibis is cloaked in religion and mythology. Apparently the ancient Egyptian pharaoh’s believed that the ibis was a sacred bird associated with the god, Djehuty, which is sometimes referred to as the Greek god, Thoth. This deity was responsible for writing, mathematics, measurements and time, as well as the moon and magic. 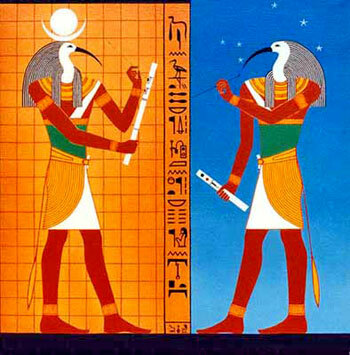 Thoth is sometimes depicted in art as an ibis-headed man in the act of writing. Archaeologists have found edifaces and mummies of ibises in the Egyptian town of Hermopolis. From the archaeological record, ibises were bred and raised not for food, but for sacrificial purposes. In the town of Sarrara, mummies of over a million ibises were discovered at the temple of the gods, along with the mummies of hundreds of thousands of falcons. They seem to have a bird fetish, for sure. There are also some Judeo-Christian legends around ibis that I found interesting. According to local legend in the Birecik area of Turkey (on the Euphrates River), the ibis was one of the first birds that Noah released from the ark, as a symbol of fertility. And according to Josephus, Moses used the ibis to help him defeat the Ethiopians in battle. Bringing things closer to home, the mascot of the University of Miami is the American White Ibis. 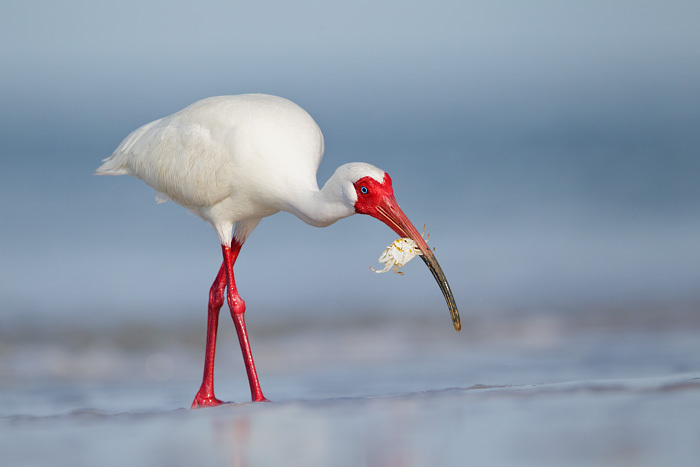 The ibis was selected because of its legendary bravery of the bird during hurricanes. According to Floridian legend, the ibis is the last sign of wildlife to take shelter before a hurricane hits and the first to reappear once the storm has passed. And in ending on an Ivy League note, Harvard’s humor magazine, The Harvard Lampoon, uses the image of the venerable ibis as it’s symbol. A copper statue of an ibis is prominently displayed on the roof of the Harvard Lampoon Building at 44 Bow Street in Cambridge. 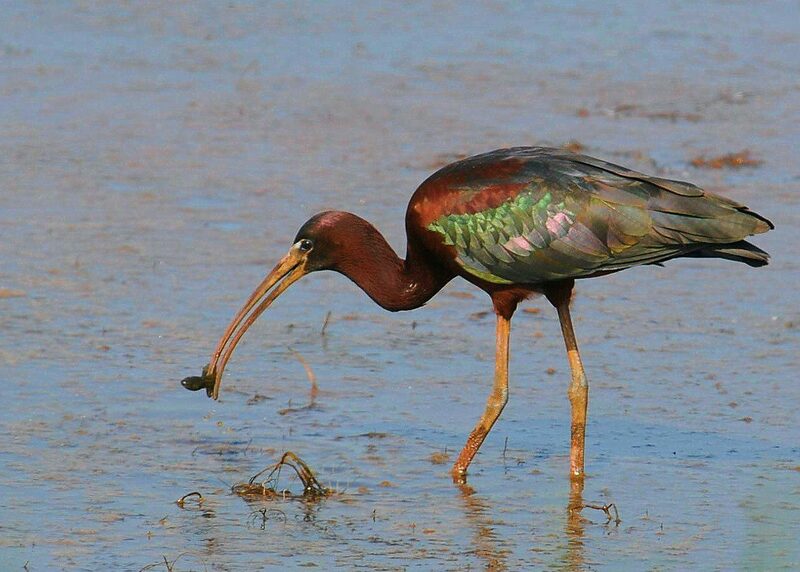 Although many feel it looks like a stork, their website confirms that it is indeed an ibis. My particular favorites include the White and Glossy Ibis, as those are the ones I have watched for hours and hours with time passing pleasure. They are exquisite in flight too.